Demi-Lee is a Toronto-based actor and singer currently preparing to enter her third and final year at George Brown Theatre School. While she currently lives in Toronto, Demi-Lee originally hails from the much smaller (though no less supportive) community of Deep River, where she discovered her love of both theatre and fishing. Selected credits include: Mosca (Volpone, GBTS), Angela (Munsch on the Moon, GBTS), Tiny Tim/Belinda (A Christmas Carol, Motus O Dance Theatre), Hamlette (Hamlette, Sears Drama Festival), and Cindy Lou Who (Seussical the Musical, Deep River Musical Society). Demi-Lee would like to thank her family and friends for their love and support, and is very excited to be part of Festival 2018 with Theatre on the Ridge! has been an artist her whole life! She is a passionate learner and in recent years has had the opportunity to apply her creative skills and knowledge to theatre set and properties design for a wide variety of performances, building both abstract and realistic worlds. She prefers to use recycled fabrics, recycled metal, re-purposed wood, and an endless supply of Waste Management paint for her work. Her day job is working with youth with special needs in the public school system. Years of travel have inspired a lifelong interest in cultures & languages and also contribute to her creative world view. Shannon Fennell is a make-up artist, face and body painter based in Ajax, ON. She is originally from Vancouver, BC where she trained and got her start in the business over 20 years ago. Shannon has credits in film, television, theatre, editorial, fashion and face/body painting. She is an international award winning artist with over 70 competition wins/placings. She has been the lead make-up artist/designer for well over 100 theatrical productions and was the Hair & Make-Up Coordinator for Grande Prairie Live Theatre in Alberta for 14 years. She is a sought after instructor and author in the specialty of face and body painting. 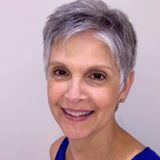 Her book “Your Face or Mine: A Step-by-step Guide to Basic Face Painting Techniques” was published by Snazaroo USA Inc. in 2007 and she is a contributing writer to numerous industry print and online publications. Shannon’s e-book “The Business of Face Painting” was released in 2009. Shannon is very excited to be working with Theatre on the Ridge for the 2018 season. You can learn more about Shannon by visiting her website, her Facebook page, or her blog. Duncan is incredibly excited to be returning to Port Perry for a second season at Theatre On The Ridge. His past credits at Theatre 3x60 include, Mary’s Weddingand Pine Grove Plots: History To Die For. Duncan is currently attending George Brown College for Theatre Arts Performance. He also holds a Bachelor of Arts Honours degree from the University of Guelph. Past credits from George Brown include Volpone, Long Day’s Journey Into Night, andRichard III. Duncan would like to thank his family and friends for their continuous support. A graduate from the University of Windsor with Bachelor of Fine Arts in Acting and Post Graduate Diploma in Classical Acting from the London Academy of Music Dramatic Art in England. Her theatre and television credits include Driftwood Theatre's A Midsummers Night Dream, Alumnae Theatre This, Taken (Global TV), Orphan Black (Temple Street Productions), and Hannibal (NBC). Audra is incredibly excited to be joining the cast of the Drowning Girls and honoured to take part in Festival 2018 with Theatre on the Ridge. ​Colin has been involved in lighting design for many years and has enjoyed working in theatre, dance, rock & roll and industrial environments. In addition to his work with Theatre on the Ridge, Colin is involved with other local community groups as well as being Technical Director and Lighting Designer at the Regent Theatre/UOIT. Frances is a French Canadian actor based in Toronto, and is delighted to be a part of Theatre on the Ridge’s summer season. She has previously appeared in Bombers, The Hero of Hunter Street, and Doctor Barnardo’s Children (4th Line Theatre), The Gas Heart (The Theatre On King), and Snow White and the Seven Dwarves (Arbor Theatre). Frances is studying at George Brown Theatre School, where she has played Biff Loman (Death of a Salesman), Mary Tyrone (A Long Day’s Journey Into Night), Bianca (Women Beware Women), Ariel (The Tempest) and Hamlet (Hamlet). In her spare time she loves to dance, drink too much coffee, and walk her dog. Liam is a recent graduate of the Honours Bachelor of Music Theatre degree program at Sheridan College. Some credits include: The Full Mounty (Bluewater Summer Playhouse), Chelsea Sunrise (Theatre Passe-Muraille/Canadian Music Theatre Project), Antony and Cleopatra, The Three Musketeers (St. Lawrence Shakespeare Festival), Into the Woods, The Cradle Will Rock, Crazy for You, Floyd Collins (Theatre Sheridan). Liam feels very grateful to return to Port Perry this summer and continue to learn from so many mentors - endless thanks to Carey, Annette, and Michael for making this process possible. As always, love to Mum, Da, K, J, and E.
Amanda is originally from Oshawa, ON but travelled to Newfoundland for school, and has spent the past few summers on the island. She has worked with summer theatre festivals in Newfoundland, from Assistant Technician to Production Stage Manager with companies such as the Gros Morne Theatre Festival, the Grand Bank Theatre Festival and with Opera on the Avalon. She is thrilled to be spending the summer back in Durham Region with Theatre on the Ridge for festival 2018! Lexi MacRae is a theatre artist from Summerside PEI who is entering her third year at George Brown Theatre School and is an alumnus of St Thomas University’s theatre program. Recent theatre credits include: Maria in The Tamer Tamed, Izzy in Dreary and Izzy(GBTS); and Mary in Salt-Water Moon(Theatre 3x60). Lexi recently completed a tour of A Record of Us: a show that she co-created with Solo Chicken Productions' physical theatre troupe, the coop. She is thrilled to be back in Port Perry for another summer with this group of stellar artists! Next, catch Lexi in the GBTS Company’s 2018-19 season. Daniel is extremely excited to be working on the 2018 season with Theatre by the Ridge. Born and raised in Scarborough, he is a current student at George Brown Theatre School moving into his 3rdand final year. Some of his favourite roles have been Gordon in Summerland (Toronto Fringe/Edge of the Sky), Petruchio in The Tamer Tamed (George Brown Theatre), Jamie in Long Day’s Journey into Night (George Brown Theatre), and his work in the devised theatre project Munsch on the Moon (George Brown Theatre). Carey is the artistic director and co-founder of Theatre on the Ridge (formerly Theatre 3x60). She has been engaged in performing arts for over 40 years, starting in St.Catharines, Ontario. She moved to Toronto to pursue professional dance studies with Lois Smith, O.C. at George Brown College, and the School of the Toronto Dance Theatre, graduating from both professional programs and becoming a faculty member at STDT for 15 years before moving to Durham region. She has been involved with theatre companies in Durham, York region and elsewhere as a board member, producer, director, choreographer, performer, instructor, set and costume designer and has received several awards for her work in the performing arts, including a Durham Art of Transition Creative Award for her contribution to theatre in Durham. Her past and ongoing theatre studies include programs and courses with Tarragon Theatre, the Stratford Festival and Off The Wall Theatre Alliance, and most recently was an auditing director with Obsidian Theatre (hang). Carey is also a member of the Theatre Ontario Talent Bank, an independent theatre adjudicator and arts educator. Michael has been a regular member of the Durham Region theatre community for the past 25 years. He is an actor, director and an award winning sound designer. He has participated in productions presented by Theatre on the Ridge, The Borelians, Oshawa Little Theatre, OnStage Uxbridge, and several other theatre companies throughout the region. He is also the owner of Smart Acts, which combines drama and theatre with Positive Psychology in fun-filled classes for adults and seniors. Michael most recently played the parts of Bill in August: Osage County, Father Flynn in Doubt – A Parable, and King in Toronto Mississippi. He lives in Port Perry with his insanely talented wife, Annette Stokes. Annette has been acting and directing theatre throughout Durham Region and the GTA for over 30 years, as a high school drama teacher, as well as the artisitic director of her own theatre company in Toronto in the 1990s. She has graced the stage in such diverse roles as Barbara in August: Osage County, Sister Aloysius in Doubt: A Parable, and Blanche in A Streetcar Named Desire, to name but a few. She was the head of the Arts department at All Saints Catholic High School for 6 years, and has taught drama throughout her entire teaching career. Andy has been involved in theatre for almost 50 years and has been most recently seen on stage in Durham in One Flew Over The Cuckoo’s Nest (Oshawa Little Theatre). He has also appeared in The Diary of Anne Frank, To Kill A Mockingbird (Oshawa Little Theatre) among others. He is pleased to be reappearing this year as Reuben Crandall Sr. in Pine Grove Plots and to be reprising one of his personal favorite roles as the Croc in Peter Pan. When not on stage, Andy maintains order in the limited storage and backstage spaces of Theatre on the Ridge and is lead carpenter on the company’s set builds. Born and raised in Port Perry, Michael Williamson is pleased be back working with Theatre on the Ridge this summer! Having previously played Jacob in last year’s production of Salt-Water Moon, Michael looks forward to continuing his work with the company. Currently a student at George Brown Theatre School, his credits there include: Bracciano The White Devil, Jim The Glass Menagerie, Iago Othello, and Wilfred Thy Neighbor’s Wife. In addition to theatre, Michael enjoys writing music, some of which has been featured in Munsch on the Moon (George Brown Theatre), and Monsters and Millfoil (Theatre on the Ridge).